Dapper and opulent, Tudor captures the sophistication of a British classic. Royale, Textured Matte Black or Walnut finishes available. Clear hammered glass is included with Royale finish. 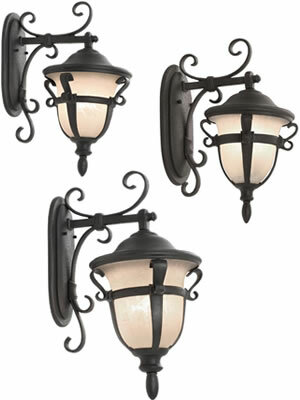 Meringue glass is included with Textured Matte Black finish. 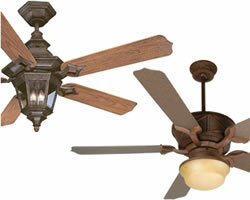 Ecru glass is included with Walnut finish. 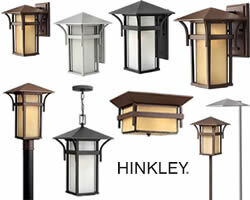 Old World Medium Hanging Lantern The Tudor Outdoor Collection was inspired by the play of dark, bold lines on light surfaces common in Tudor Era architecture. 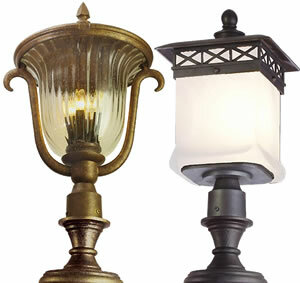 Kalco's exclusive combinations of Ecru Glass with the Walnut finish and Meringue Glass with the Textured Matte Black finish create contrasts with hints castle metalwork to create elegant outdoor pieces. Dapper and opulent, the Tudor Collection captures the sophistication of a British classic. 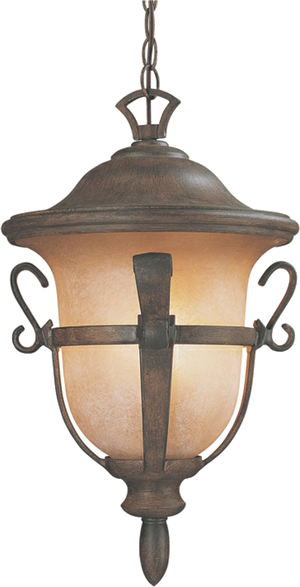 Old World Small Wall Bracket The Tudor Outdoor Collection was inspired by the play of dark, bold lines on light surfaces common in Tudor Era architecture. Kalco's exclusive combinations of Ecru Glass with the Walnut finish and Meringue Glass with the Textured Matte Black finish create contrasts with hints castle metalwork to create elegant outdoor pieces. 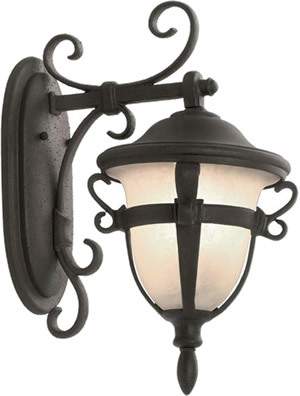 Old World Medium Wall Bracket The Tudor Outdoor Collection was inspired by the play of dark, bold lines on light surfaces common in Tudor Era architecture. Kalco's exclusive combinations of Ecru Glass with the Walnut finish and Meringue Glass with the Textured Matte Black finish create contrasts with hints castle metalwork to create elegant outdoor pieces. 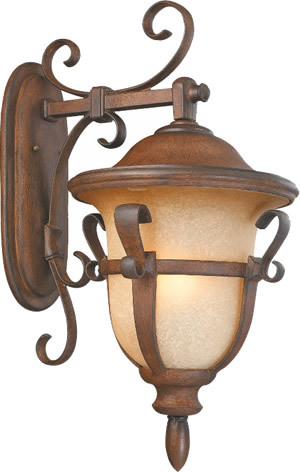 Old World Large Wall Bracket The Tudor Outdoor Collection was inspired by the play of dark, bold lines on light surfaces common in Tudor Era architecture. Kalco's exclusive combinations of Ecru Glass with the Walnut finish and Meringue Glass with the Textured Matte Black finish create contrasts with hints castle metalwork to create elegant outdoor pieces. 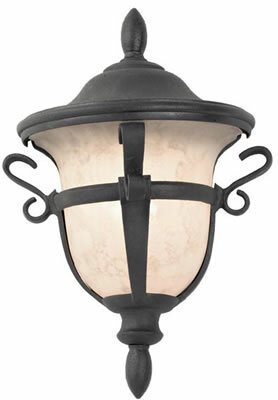 Old World Medium Porch Light The Tudor Outdoor Collection was inspired by the play of dark, bold lines on light surfaces common in Tudor Era architecture. Kalco's exclusive combinations of Ecru Glass with the Walnut finish and Meringue Glass with the Textured Matte Black finish create contrasts with hints castle metalwork to create elegant outdoor pieces. 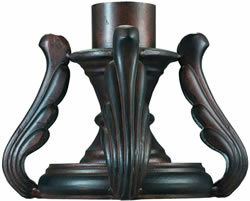 Old World Large Pier/Post Mount The Tudor Outdoor Collection was inspired by the play of dark, bold lines on light surfaces common in Tudor Era architecture. Kalco's exclusive combinations of Ecru Glass with the Walnut finish and Meringue Glass with the Textured Matte Black finish create contrasts with hints castle metalwork to create elegant outdoor pieces. 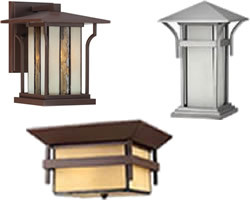 Kalco's Outdoor accessories compliment any outdoor lighting. 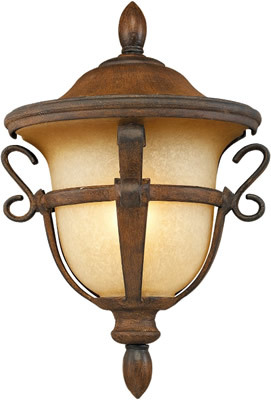 Featured in Kalco's exclusive finishes, these accessories provide the flexibility to customize lighting to fit individual needs and specific design styles from rustic to elegant. 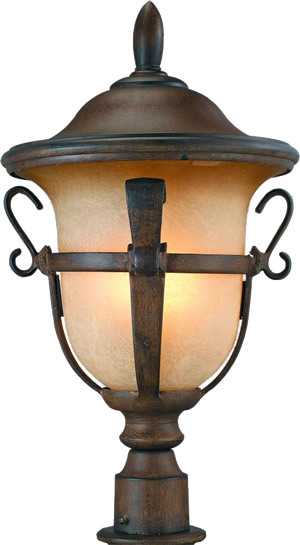 Holds two lanterns and fits anchor mount and straight post. 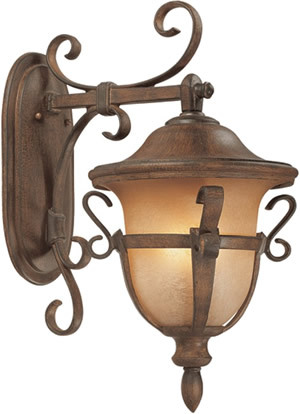 Holds three lanterns and fits anchor mount and straight post. Straight post, ribbed design, can be cut to Length.